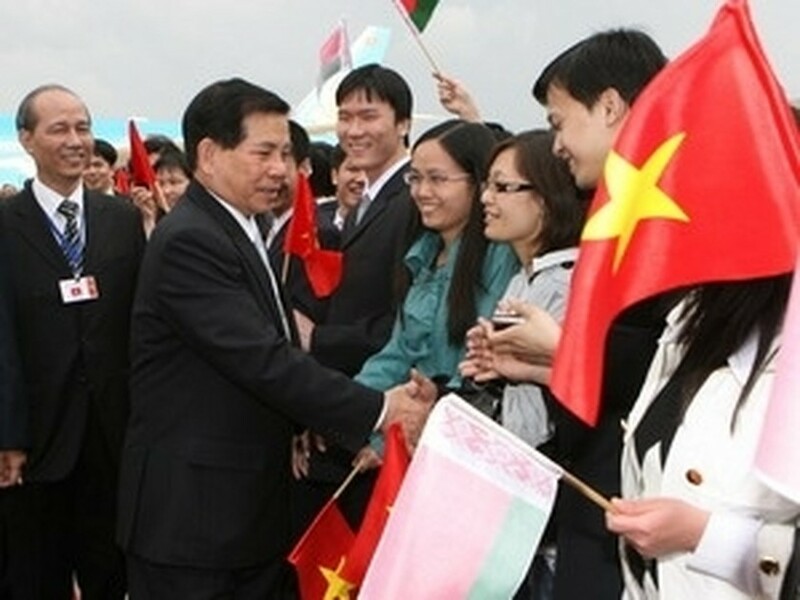 State President Nguyen Minh Triet on May 12 left Moscow, beginning his official visit to Belarus from May 13-16 at the invitation of President Alexander Lukashenko. The Vietnamese leader is accompanied by Deputy Prime Minister and Foreign Minister Pham Gia Khiem, Minister of Labour, War Invalids and Social Affairs and other senior officials. An official welcome ceremony was scheduled to be held on May 13 at the Presidential Palace in Minsk and the talks between the two state leaders will take place on the same day. President Nguyen Minh Triet also paid a two-day visit to Kalmykia on May 11 at the invitation of Kalmyk President Kirsan Iliumzhinov. The two heads-of-state held a working session to discuss the implementation of trade and investment projects already underway between the two countries, as well as Kalmykia’s participation in the upcoming celebration of the 1,000th anniversary of Thang Long-Hanoi. Vietnam’s plan to open a chess training centre for Vietnamese youth was also discussed at the meeting between Triet and Iliumzhinov, who is also president of the World Chess Federation. The President also visited some trade, cultural and sport centers in Kalmykia.